Bring back the joy of entertaining at home, our collection of tables lift, expand and stretch to fit your space. 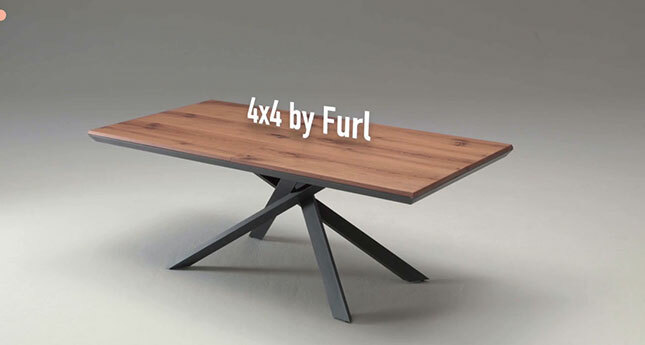 The oxford dictionary describes a table as "a piece of furniture with a flat top and one or more legs, providing a level surface for eating, writing, or working at" that sounds pretty multifunctional to me. 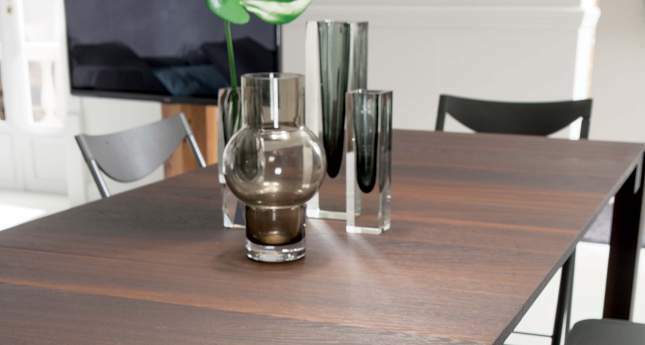 Often overlooked as a simple everyday object tables are one of the most practical pieces of furniture in the home. I can't think of any other furniture that has so many uses by everyone in the home. Furls passion evolves around making everyday objects more practical, space saving and functional - we strive to offer products you'll love to use and will make better use of your space, whether you have a studio apartment or a large family home space saving furniture can change the way you live and interact in your home. Traditionally most houses had a dining room but as house prices have risen and large houses converted into flats the dining room is now reserved for large houses outside of the city, kitchens have become the new eating space with breakfast bars masquerading as a dining table, is it any wonder that the explosion of eateries in the cities continues to rise!. 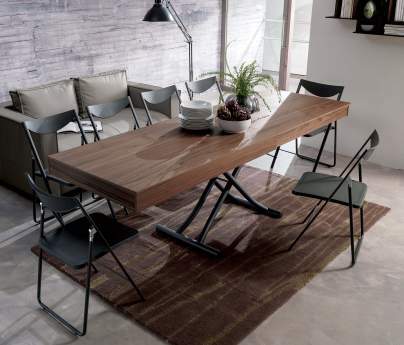 We don't expect that our customers have dinner parties every weekend or sit down together to eat every evening but we do think that having the option of sitting and eating together is something to enjoy and encourage and having furniture that folds or extends means that you can have a flexible table arrangement when needed. So our range of tables cater for just that - we have coffee tables that lift and extend into larger tables and a console that's just as happy as a small desk as it is seating 12 people. All our clever table ideas are simple to convert and a joy to use whether you're entertaining or enjoying a game of monopoly all sitting together on cushions on the floor.